There have been many lawsuits filed by purchasers of residential condominium units in New York City against sponsor-developers and contractors. Generally, the sponsor-developer is an entity—a Limited Liability Company or “LLC”—and, for the most part, New York law does not allow such claims to be brought against the individual members of the LLC in accordance with the general rule of law that prohibits holding individual members of an LLC liable for the legal obligations of the LLC. Of course, there are certain limited exceptions. 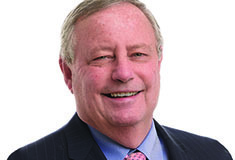 And until recently, New York trial courts in Brooklyn held that the individual members of the sponsor LLC of a newly-constructed condominium may be personally liable for construction defects where those individuals signed the required certification that is included in the condominium offering plan in their representative capacities on behalf of the sponsor-developer of the condominium. But, in May, the Appellate Division, Second Department, which is the appellate court in Brooklyn, that also covers Queens, Staten Island, Long Island, Westchester and Duchess, Putnam, Orange and Rockland counties, reversed the trial court’s order and dismissed the complaint by the Board of Managers of the 125 North 10th Condominium against the managing member of the sponsor-developer and several principals of the sponsor LLC. In Board of Mgrs. of the 125 N. 10th Condominium v. 125North10, LLC, the Board of Managers of the 125 North 10th Condominium in Williamsburg on behalf of itself and individual unit owners, sued the sponsor-developer of the newly-constructed condominium, an LLC, the real estate investment fund Savanna, and the members and principals of the sponsor-developer LLC, including co-managing partners of Savanna, Christopher Schlank and Nicholas Bienstock, and real estate investors Peter Petron and John Fraser, to recover more than $15 million in compensatory plus punitive damages for the allegedly defective construction of the building located at 125 North 10th St. in Brooklyn. Among other things, the condominium board claimed that the roofs, foundation and exterior walls of the building were improperly designed, fabricated, installed and constructed, and that all of the defendants, including the members and principals of the sponsor-developer LLC should be held liable for those deficiencies. The managing member and individual principals of the sponsor LLC moved to dismiss the Board’s complaint against them on the grounds that they cannot be held individually liable for any construction defects based solely on alleged violations by the sponsor of the condominium offering plan. The trial court denied their motion, citing previous cases where the Brooklyn court held that a plaintiff may seek damages for breach of contract against the individual principals of the sponsor based upon the certification of the offering plan and the incorporation of the terms of the offering plan in a specific provision of the residential unit purchase agreement. On appeal, the Appellate Division, Second Department, referenced the Martin Act—the nearly 100-year old New York State law that has been used to sue sponsors for fraud in offering condominium units for sale to the general public and for making misrepresentations in a condominium’s offering plan, and reversed the trial court’s order, finding that the managing member and principals of the sponsor demonstrated prima facie entitlement to judgment as a matter of law that they cannot be held individually liable for the breach of contract alleged by the plaintiff based solely on alleged violations of the offering plan, merely by their certification of that offering plan in their representative capacities on behalf of the sponsor. In the required certification, the sponsor of the condominium and its principals jointly and severally certify that the offering plan documents are accurate and complete, do not omit or contain any untrue statement of any material fact, do not contain any fraud or deception, do not contain any promise or representation as to the future which is beyond reasonable expectation or unwarranted by existing circumstances, and do not contain any representation or statement which is false, where the sponsor or principals knew the truth or with reasonable effort could have known the truth. The certification applies to specific descriptions of the building and its improvements, including improper workmanship or construction practices, and the use of materials that are substantially and materially at variance with the plans and specifications. The Second Department now joins the First Department, which covers Manhattan and The Bronx, in refusing to impose personal liability on the sponsor principals based on alleged violations of the offering plan and the certification that is mandated by the Martin Act. 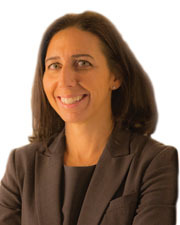 Jessica Rothman is a partner at Ingram Yuzek Gainen Carroll & Bertolott, LLP, New York, N.Y.